My “A-Race” this year is the Musselman Triathlon, which will be my first 70.3-distance race. I’ve been looking for a smaller, shorter race I could do in advance of that one that would time up well with my training and is close enough to me to not be a logistical headache. There are lots of running races in northern New England and a fair number of cycling events too (though mostly fun rides, not races), but triathlons are harder to come by. It’s even harder still to find one that takes place on the specific weekends that work within a larger training plan for the year. Most triathlons are pretty flat, and I suspect that has a lot to do with their scarcity in this region. Vermont in particular doesn’t really do flat. 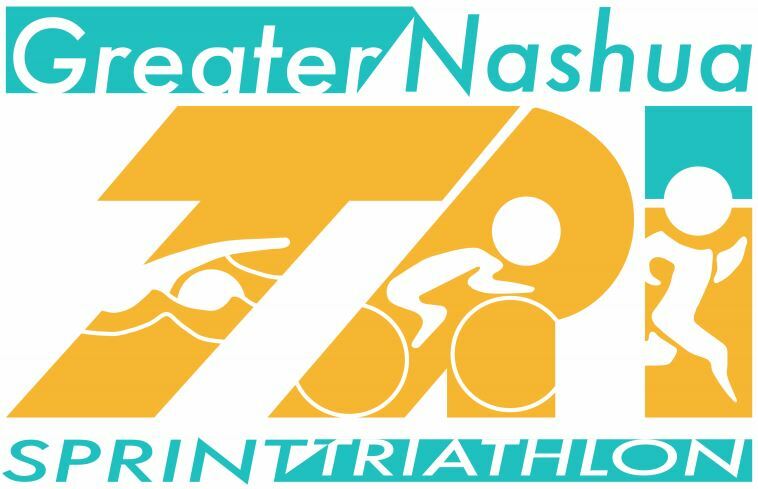 The race I found that fits the bill for my training and schedule is the Greater Nashua Sprint Triathlon. I’ll be going a little further afield for this one, but not terribly far. It’ll be a couple of hours in the car to get there; less if we stay with family who live closer to the venue. The swim clocks in at less than 600 yards according to the website, but still manages to pack in three turns. 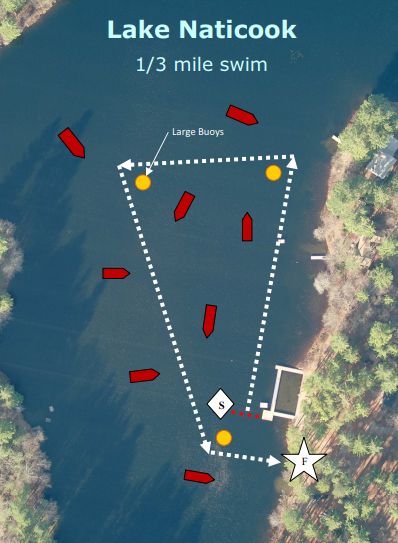 The turns are the worst part of the swim, for my money (apart from the mosh pit) so that’s a little disappointing, but it’s probably due to the geography of Lake Naticook and for safety reasons. It looks like the waves are staged on a dock. The bike course currently shown on the website is amusingly just a screenshot of someone’s browser tab displaying Google Maps, which has been converted into a pdf. 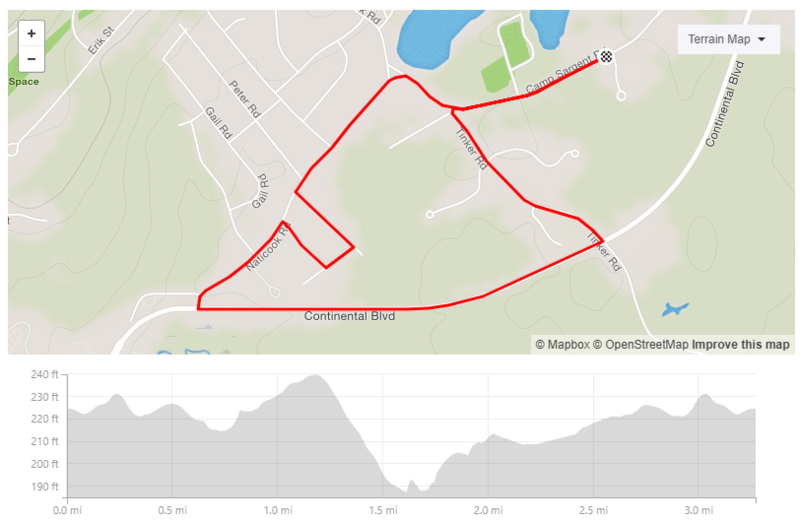 I converted that to a Strava Route so I could get a sense of the details, and it’s a ripper. Very short and very flat. The bike leg climbs only about 430 ft over a distance of 9.5 miles. That’s less than half the elevation per mile that I’m used to in training around where I live, and the total distance will be the shortest bike leg I’ve raced so far. The run leg is a good match for the bike, keeping things flat and fast. The exact location of the transition/finish area is unclear, but it looks like the total distance will be just over a 5k, at around 3.2 miles, with about 80 feet of elevation gain. So what do these details mean for me? This race will primarily be a training tool for me, an opportunity to practice organization, transitions and race-environment stress management. So in that sense, the details don’t actually matter all that much. I’ll be there to practice triathloning and to have a good time. That being said, I wouldn’t say the race particularly caters to my strengths. I do better in a swim when I can establish and hold a groove; 3 turns means a lot more buoy sighting and thinking about things other than swimming ahead at my own pace. 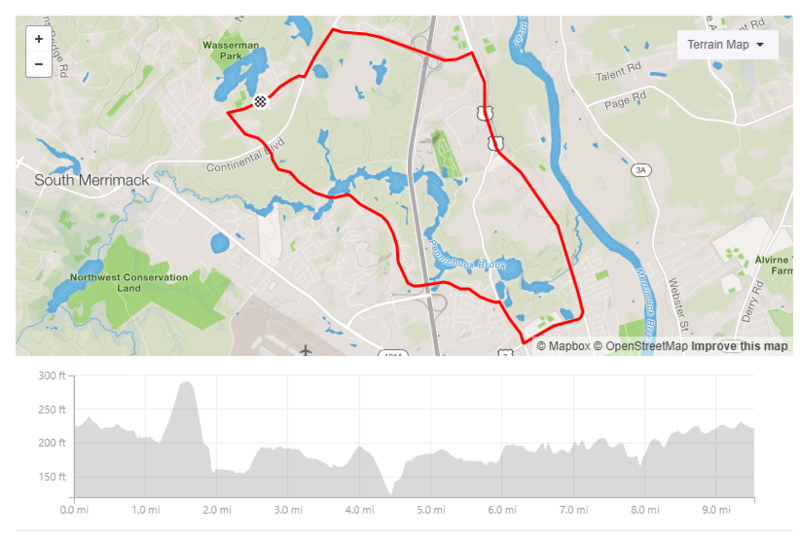 Cycling is my strongest discipline, but the relatively shortest opportunity here, which means that there will be less time to make up for deficits from a slow swim, and more complications in terms of pacing because I’ll be tempted to really drop the hammer on a <10 mile ride (but thereby risking leaving less in the tank for the run). The run looks like a fairly standard 5k route, but running is probably my most challenging discipline, so that’s really no help. So at the end of the day, this could prove to be a pretty tough race for me, if all of these factors stack up in the right (or wrong) way. My aim then will be to mostly forget about all of that, and to focus instead on managing my pre-race anxieties, race day strategies and transition performance. After all, those are really the only things from a sprint-distance race that will meaningfully translate to a 70.3.